Another year has flown by and the winter holidays are already upon us. For many, this season is dedicated to searching for the perfect gifts for loved ones. Heading into the cold and braving the holiday shopping craze is not for the faint of heart, nor is it easy on the budget. It can be a stressful time for everyone. But there are ways to keep your sanity and budget in check by gifting your loved ones something handmade. Creating homemade delights with the health and wellness of each individual in mind is a great way to show how much you care and adds an extra special touch to this time of giving. Who doesn’t love candles? They create a beautiful ambiance and set a calm tone for unwinding after a long day. Candles should not, however, be used to mask odors or make a home smell like freshly baked cake. Artificially scented candles are commonly made with paraffin wax, which emits hazardous chemicals when burned. 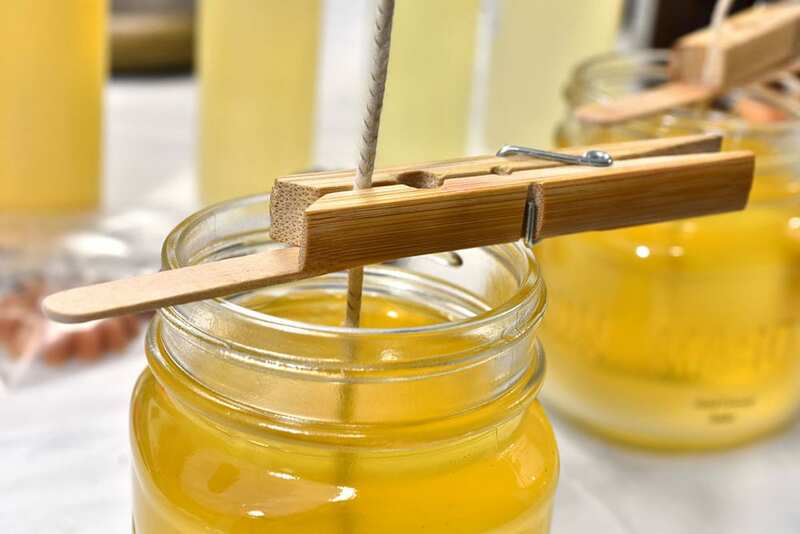 To avoid introducing air pollutants into your home, it is best to use an alternative, like beeswax. Our culinary support manager, Cheyenne Wright, makes candles every year for her family and friends. She uses this recipe from Wellness Mama, which recommends using a beeswax and a coconut oil mixture to ensure the candle will last while avoiding toxins. She uses small Mason jars for her vessels, which are budget friendly and create cute little gifts. One of the best aspects of DIY gift giving is including a personal touch. Personalized tea blends are one of the sweetest and easiest gifts to make. Lila Volkas, our nutrition program supervisor, takes into account the health of each family member and friend when considering what to include in their personalized blends. 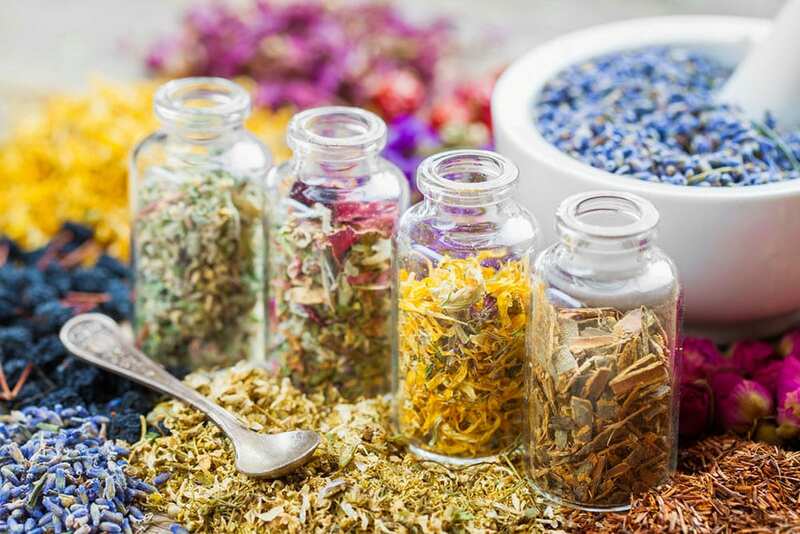 Some of her favorite concoctions include immune boosting, sleep promoting, and stress relieving herbs for people who need a little extra relaxation in their lives. After finishing a blend, she pours it into a jar and creates a custom label, which adds an extra touch of love to this gift. For the folks who like to add a little spice to their lives, what more can you ask for than homemade fermented hot sauce? In California, summer pepper season wraps up around the end of October, so if you plan ahead and collect the last of the harvest, you can use this opportunity to flex your preserving skills. Or you can purchase organic peppers from your local grocery store. Chef Claire McCann, our kitchen manager, says that making fermented hot sauce is easy to do. Fermented foods provide us with beneficial bacteria that feed our microbiome, which helps with digestion and keeps us healthy. 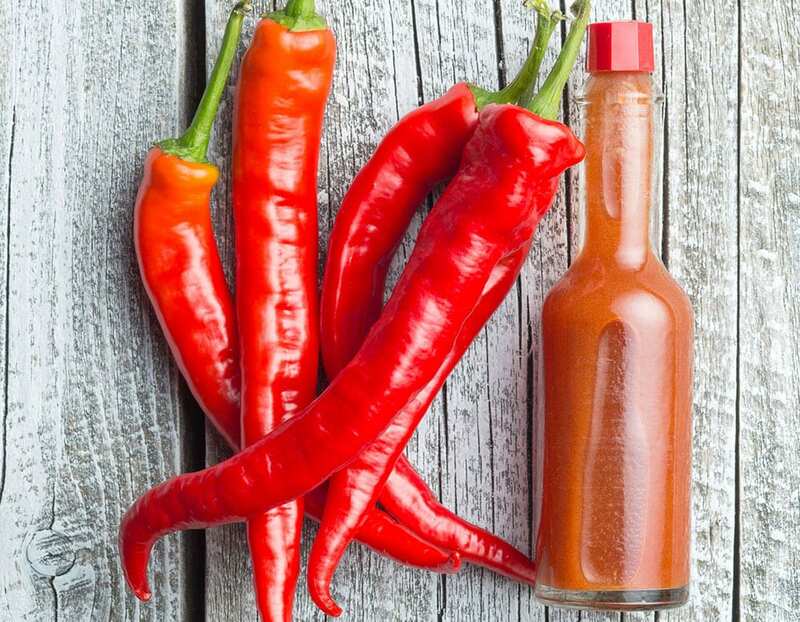 A fermented hot sauce recipe can involve any variety of chili peppers you like, allowing flexibility for preferred spiciness and flavor. After clearing your peppers of all their seeds, pop them into a jar with your choice of aromatics—garlic; fresh herbs like cilantro, thyme, or celery leaves; ginger; citrus peels; and anything else you like. Pour salt water brine over the mixture, and allow to ferment for 3–4 weeks. Store your ferments in a dark place or cover them with a towel. After 3–4 weeks, drain the peppers, reserving the brine, and transfer them into a blender. Blend, using the brine to thin out the mixture and reach the desired consistency. Tip: Make a batch with green peppers and a batch with red peppers and tie the hot sauce bottles together with ribbon to create a festive holiday gift. Add all ingredients, except for the honey, to a half-gallon jar. Cover the mixture with apple cider vinegar until all ingredients are submerged (you can also use a fermentation weight), and shake. Cover the jar with a piece of wax paper, secured with a rubber band, and store in a cool place, like on top of the refrigerator or in a closet. After 3–4 weeks, the mixture will be a beautifully spicy and fermented wellness treat. Strain the mixture or remove the lemon peels and blend all ingredients in a high-speed blender. Then add honey, stirring vigorously. Your cider is now ready to be portioned into bottles or jars and gifted to loved ones. For the most nutrient density, use organic ingredients. You can also include additional spices like cinnamon, which is anti-inflammatory and antioxidant. 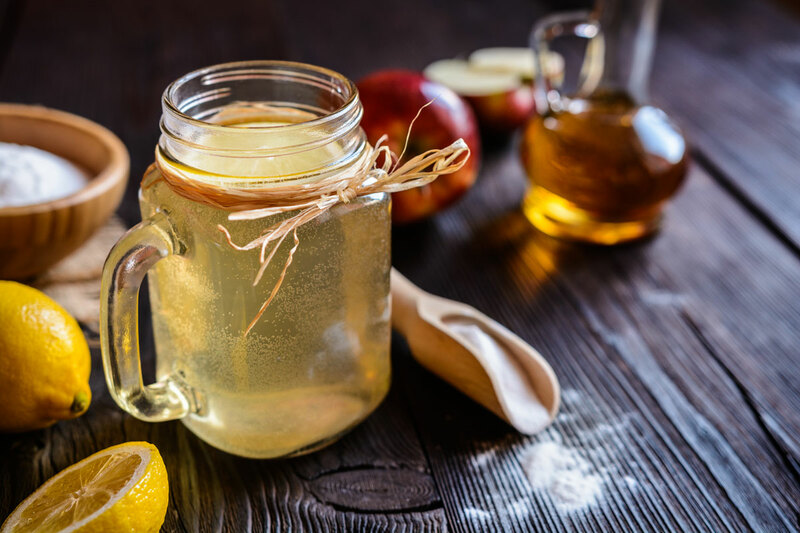 Tip: During a recent trip to Alembique Apothecary in Berkeley, California, a specialist gave us some pointers for making fire cider: bury your jar underground for a month, then add the raw, local honey. The honey will slow down the fermentation process. Taking the time to create homemade gifts is a great way to add an extra special touch to the holidays. Gifts created with love and intention are a sweet alternative to the typical store-bought items that are usually given at this time of year. No matter what you decide to do, a gift is special because it comes from you. Wishing you and yours a very happy and healthy holiday season, from all of us at Bauman College.